Jeanerette, LA – January 15th, 2018: Louisiana-based boatbuilder Metal Shark has delivered its latest new law enforcement patrol boat to the Puerto Rico Police Department (PRPD). The new 35-foot Defiant welded aluminum pilothouse patrol vessel, built at Metal Shark’s Jeanerette, Louisiana production facility, joins the fleet of 36-foot Metal Shark Fearless-class high performance center console patrol boats delivered to the PRPD a year ago. The PRPD’s newest Metal Shark features a fully-enclosed, climate-controlled pilothouse for all weather operation, outfitted with Shockwave shock-mitigating seating for a crew of four. Triple Mercury 300HP Verado four-stroke outboards push the vessel to speeds in excess of 45 knots while offering nimble handling and a smooth dry ride. A Wing urethane-sheathed, closed-cell-foam collar affords maximum impact protection during docking, boarding, or other alongside maneuvers, while port and starboard dive reliefs facilitate water access. The Metal Shark 35 Defiant is the first new boat to enter service with the PRPD since Hurricane Maria devastated Puerto Rico in September. The vessel has been put to use in the ongoing hurricane recovery efforts alongside the PRPD’s other Metal Sharks, all of which weathered the storm undamaged and have served on relief missions around the coast of mainland Puerto Rico and the islands of Culebra and Vieques. 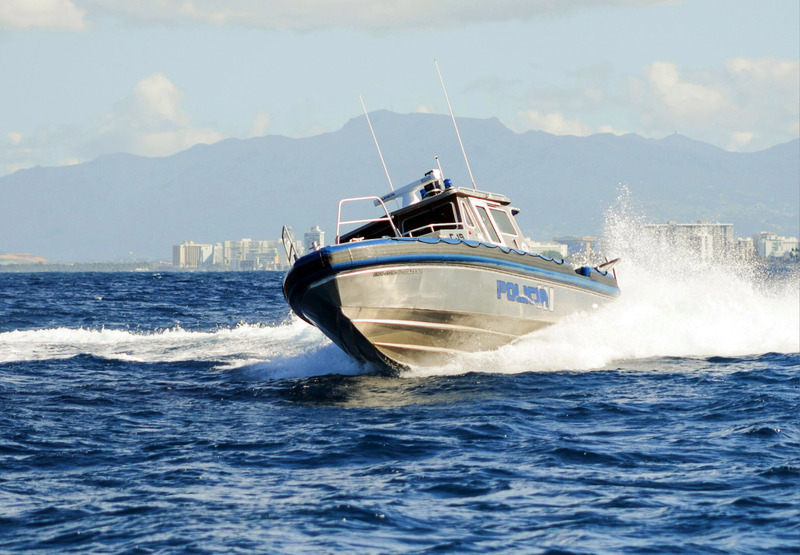 The Metal Shark vessels are operated by the PRPD’s Fuerzas Unidas de Rapida Accion (FURA), which is an agency within the PRPD operating specialized divisions relating to and coordinating with U.S. federal law enforcement agencies including the Federal Bureau of Investigation, the U.S. Marshals Service, and the Department of Homeland Security.